Renewal is the key to success. One of the many fascinating themes that have emerged from my global research (see page 75) is how many chief executives talked about the need of leaders to regularly reinvent themselves. They had to unlearn what has made them successful at one level of leadership, in order to discover how to be a new leader at another level of leadership. Firstly, recognize the difference between vertical development and horizontal development. Horizontal development is about acquiring capabilities such as skills, behaviours and tools to become more proficient at your current operational level. This is the territory that the majority of management and leadership development programmes occupy. It is also where most competencies and assessment frameworks focus. Vertical development is about our mindset, the framework in which we do our thinking and our relating. Bill Torbert (2004) calls this our dominant ‘action logic’, for it is not about the sophistication of our thinking in the classroom or in times of reflection, but the way of thinking we use in the midst of action, dealing with challenges, in relation to others, be they employees, colleagues, customers, investors or other stakeholders. There has been much research and many models developed about the recognizable stages of adult development. Psychologists such as Kohlberg (1981) and Loevinger (1976) first extended the work of Piaget (1955 and 1977) on stages of child development to explore phases of adult development. 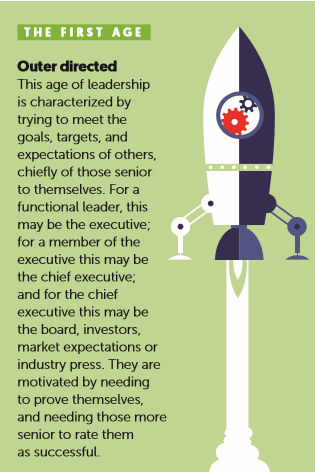 This early work has been built on by writers such as Bill Torbert (2004) and Robert Kegan (2009) to look at the maturity levels within leaders. What they all recognize is that, as adults faced with a new context bringing a new range of challenges, we fall back on what has worked and made us successful in previous, less-complex environments. When this does not work, we are all prone to going into trying harder, putting in more effort or time, but this often makes succeeding even less likely. At these times what is needed is stepping back, reflecting not just on the situation, but the frame of thinking we are bringing to address it. Over 40 years of studying individual and collective leadership, I have discovered, along with colleagues at Henley Business School, Bath Consultancy Group and Renewal Associates, that higher levels of leadership development cannot be taught, but they can be developed. 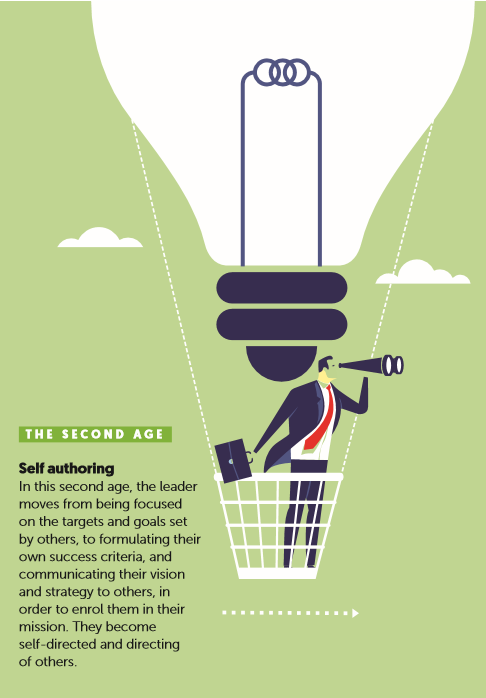 If you try to teach an out-directed leader about progressing to a self-authoring or achiever style of leadership, they often reply: “Please tell me the seven steps that I have to follow to achieve that.” An attitude which demonstrably runs counter to self-authoring leadership. Similarly, if you try to teach a leader that is a self-authoring leader about higher levels of leadership maturity, they immediately want to know: “How do I get to be at the top level?” This attitude is the antithesis of reaching full leadership maturity, because fully-mature elders have no emotional need to feel that they are leaders. Thus, the dominant mindset of the leader will instantly reduce the new teaching to fit their action logic. Learning to move between the levels is fundamentally different to learning to develop greater horizontal skills, techniques and behaviours within a specific level of development. We have discovered that transiting from one level of development to another involves confounding the current mindset through experiencing what I call ‘paradoxical seizure’. This can be enabled by being in a situation where you want to succeed at achieving something, but are unable to do so within your current frame of thinking. In the research on tomorrow’s leadership, we have also been looking at what is necessary from today’s development to produce successful future leadership. To create leadership development that creates both vertical and horizontal development, it needs to be ‘challenge-based’. That means starting with not what we already know, but emergent organizational challenges – so called ‘wicked issues’ that no individual can solve by themselves. Even better to have challenges that everyone recognizes as important, but which cannot be resolved within our current way of thinking. Examples of applying such thinking to leadership development can be found in our description of developing leadership training for the partners at Ernst & Young (Hawkins and Wright 2009), or in the work of Leaders’ Quest. Another organization asked me to help it develop its ‘leaders of tomorrow’. 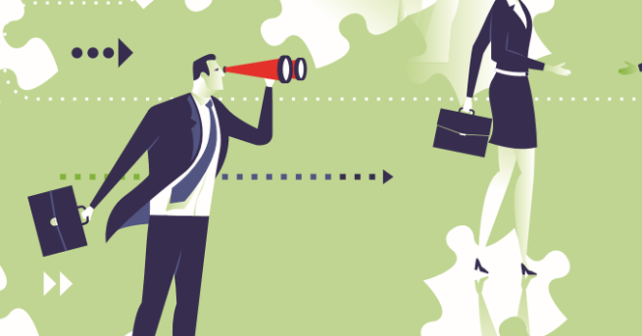 I asked its top team to shortlist the top organizational challenges to come over the next five years that it lacked the headspace or time to fully address. 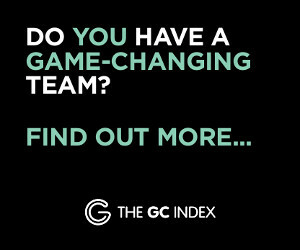 They then chose five from their shortlist as the core challenge for five cross-functional challenge teams, which were made up of ‘future leaders’, each mentored by a different member of the executive team, and supported by a change-team coach. The coach’s primary role was to facilitate the enabling condition that would hold the team in exploring the challenge. The coach would assist in bringing in different and varied systemic perspectives and expertise. They would then facilitate generative dialogue within the team in a way that avoided creating simplistic solutions within their current frame of thinking, and ensuring that the challenge and complexity created the necessary heat to forge new collective thinking. This coach would also introduce useful frameworks and tools as was helpful at various stages in the process. We are not going to be able to address the complex ‘wicked issues’ of the hyper-connected and hyper-change world of the 21st century with 20th-century thinking. The challenges of globalization, climate change, growing inequality, digitalization and robotics, and mass migration are just some of the main interconnected issues. 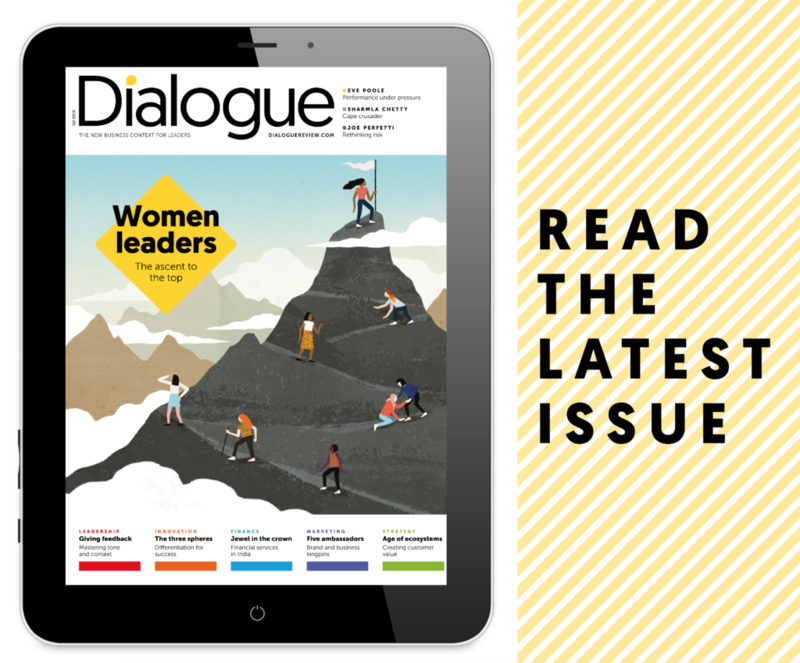 Creating more effective vertical development, not just for executives but leaders at all levels, in organizations in the commercial, public and not-for-profit-sectors, as well as in communities globally, is an urgent task. We all have a responsibility to attend to our own adult maturity, and also to look at how we can parent our children and grandchildren to help them develop the leadership capacities that will be needed in the world of tomorrow.